Go Realty Unplugged: Are We The Next Disney? Are We The Next Disney? You can dream, create, design and build the best, the most wonderful place on earth, but it requires people to make that dream a reality! 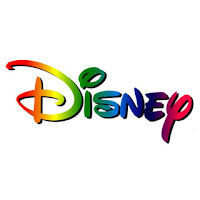 The Disney brand is very distinctive & is recognized globally. 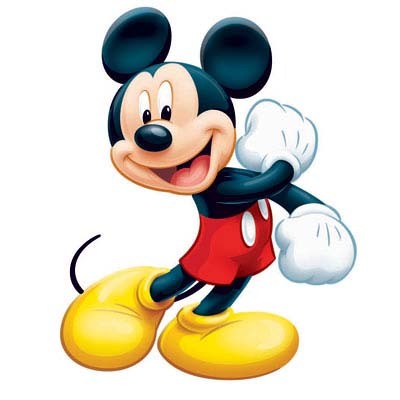 Disney World in Orlando, Florida is the largest single-site employer in the United States with 55,000 employees. They understand the impact that each & every staff member has on their brand & act accordingly, giving us a lot of insights into how we too can more effectively use our "workforce." Everyone knows their role. “We don’t put people in Disney, we put Disney in people” is the line used by Disney HR during induction. In creating a recognizable culture, Disney clearly has an advantage as most people have an awareness of their requirements before joining the organization. However, they have done an excellent job of maximizing this awareness with a clear and intentional approach to recruitment and induction that ensures that they get the right people and that new employees (called cast members) have a thorough understanding of requirements. Cast members are instructed to be “aggressively friendly”, taking photos for visitors seen aiming cameras, assisting people looking at maps and other spontaneous actions designed to maximize the customer experience. They are also asked to incorporate their own examples of superior customer service into their employee story-line, so that they can easily recall the times when they have gone above and beyond normal requirements. Does everyone at GO know the requirements of their role? Not just the “job description” requirements, but what they do that adds value to the customer and business. YES WE DO! Is there an internal culture that is easily recognizable and memorable? ABSOLUTELY! It’s not negotiable. If you work at Disney, you either participate in their cultural requirements or you work somewhere else. One example of this is that if a cast member removes their costume while on show, it’s grounds for instant dismissal. It seems harsh, but it outlines that their aim to give visitors a magical experience is of paramount importance. Jim Collins uses the analogy of a bus to describe this principle. In his book Good to Great, Collins outlines that you need to have your people “on the bus”, meaning that they have to understand what you’re trying to achieve as an organization & if they’re not on board with your message, then they need to “get off the bus” and leave your organization. This needs to be true for any successful organization, whether it be a business, church, volunteering group or any other group. You need to have a set of guiding principles or values that are non-negotiable, enabling the entire organization to move in the one direction. That doesn’t mean that you need clones or a culture of “group-think” it just means that everyone knows the direction that you are headed in and are willing to play their part in getting you there. Recognize your people. The Disney organization has over 20 different programs designed to recognize people’s performance. These range in scale and are generally localized so that the celebrations are decentralized and immediate leaders are responsible for rewarding their staff. New employees record on their file how they would like to be rewarded, with movie tickets, days off and other options to choose from. This gives leaders the opportunity to personalize the rewards that their people receive, making them more memorable and meaningful. WE HAVE GO90X! IPAD OR VEGAS? There’s a lot that we can learn from great organizations & the challenge isn’t necessarily to completely replicate someone else’s culture but to utilize the aspects that will work for our team. We always need to strive to Be Better! So......Are We The Next Disney? I TRUELY BELIEVE WE ARE!